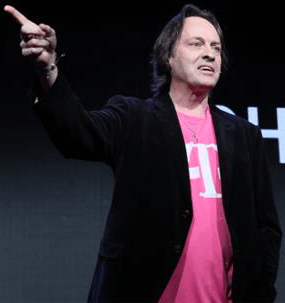 CEO of T-Mobile John Legere announced in a biggest press conference at CES 2014 at Los Vegas today that T-Mobile will pay off the termination fee of the current carriers for the eligible phone trade in. As per the announcement, the T-Mobile has announced that it is planning to pay off early termination fees for the customers, switching from other major carriers, such as, AT&T, Sprint and Verizon up to the value of $650 per line. Legere also claimed, proudly, that its 4G LTE network is the fastest in the U.S. and can be approached by 209 million people in 273 markets. On the other hand, John Legere, the T-Mobile CEO also put aside the rumors that Sprint, the 3rd, largest carrier in the US, was thinking to acquire 4th largest carrier T-Mobile. Older Alan Mulallay’s Refusal to Lead Microsoft, Led MSFT to Red Day? How to Switch ON Mobile Data Limit in Android 4.4.4 KitKat Device?